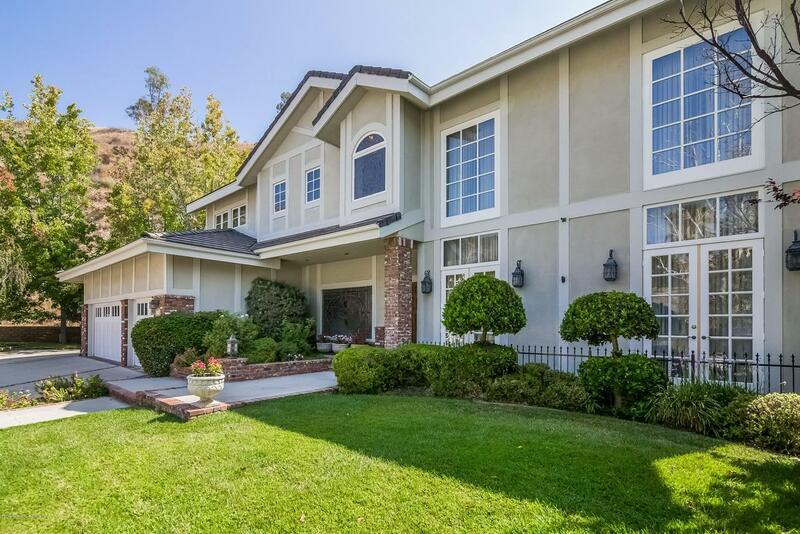 Nestled in the hills of Glendale and located at the end of a quiet cul-de-sac, this 5 bedroom, 4.5 bath custom-built home leaves nothing to be desired. You are welcomed to a grand entryway overlooking an elegant living room with cathedral ceilings and an imposing fireplace. The large formal dining room includes two beveled glass wine closets. The gourmet chef's kitchen includes a side-by-side 36' Subzero Refrigerator and 36' Freezer, Thermador double ovens, a 5 burner range and a large island and large eat-in breakfast room. The home includes an office and 5 spacious bedrooms, including the master suite with towering ceiling and beautiful balcony views of the backyard. The backyard is an entertainer's paradise with a large wrap around patio, sports court area, sparkling pool and spa complete with a poolside trellised patio, and lots of grassy play space. 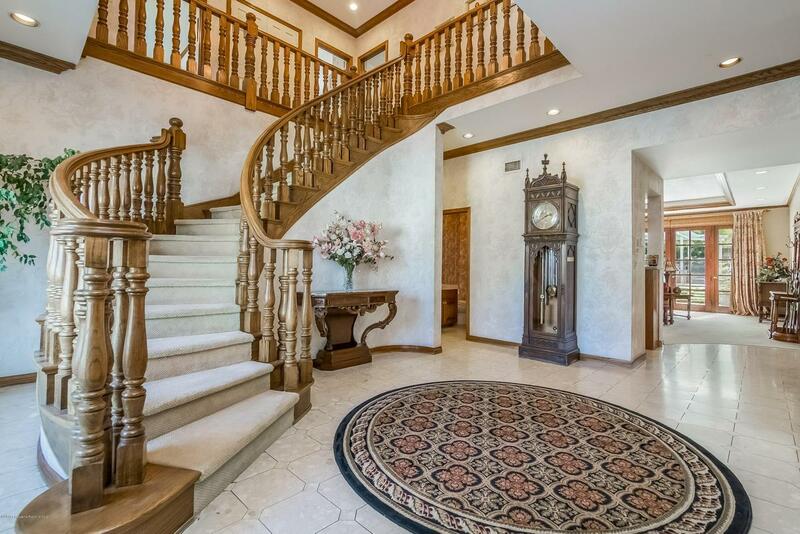 The home is over 5000 square feet and is situated on a lot that is over an acre. Make this your new home! Sold by Pakrad Markarian BRE#01425790 of Re/Max Optima. 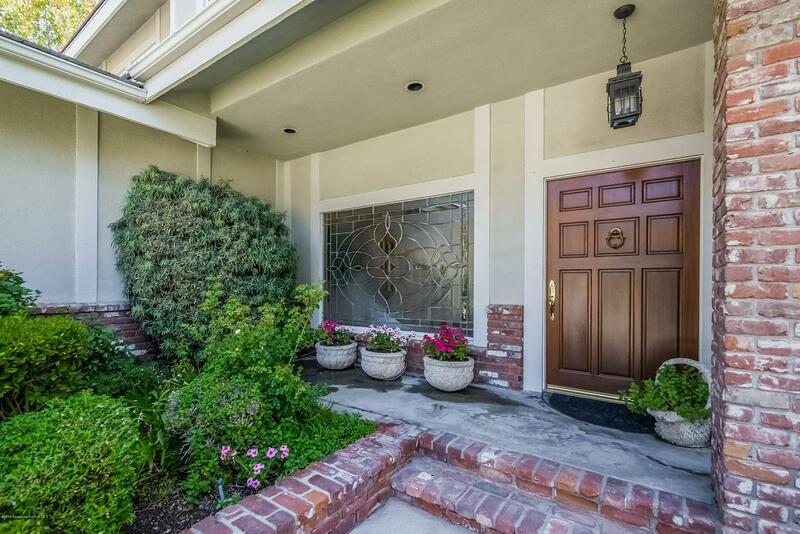 Listing provided courtesy of Christiana Ajalat Matarese DRE#01425790 of Southern California Estates In and Janine Purdy CA DRE# 02010918 of Southern California Estates In.